Being a Unicorn nut, why wouldn’t I take a blow up Unicorn on a little get away! The neighbours were watching me play on this at 8am, coffee in hand. I’m sure they thought I was nuts! “Oi luv, come check out this giant chick on her giant unicorn…” Ha, ha, ha! This is so cute! 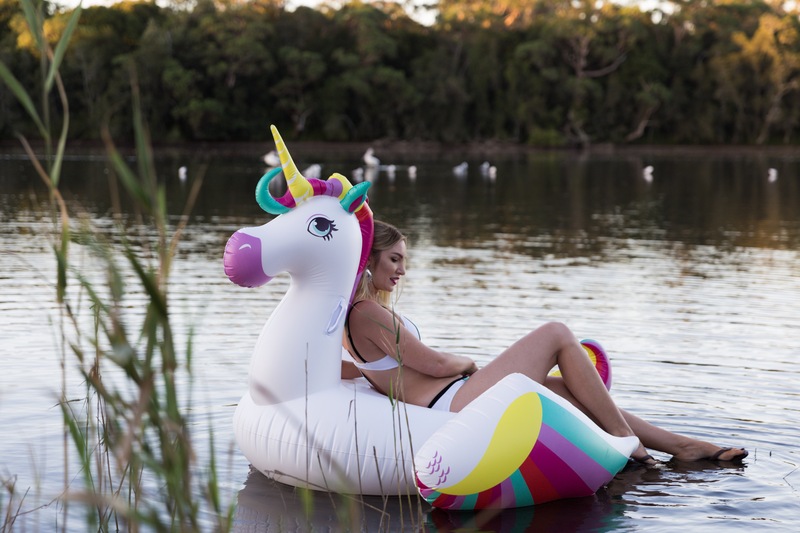 I love the unicorn floatie! Wonderful blog post! Feel free to check out my page too!